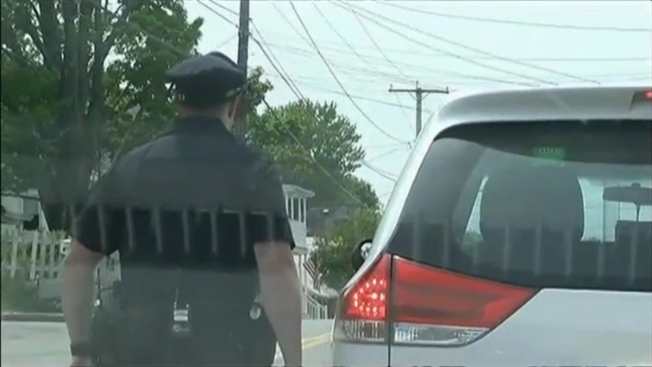 Boston's plan to put body cameras on police officers has received mixed reviews. While one civil rights group says the city fails on its proposed plan, Boston is not alone. In fact, Upturn and the Leadership Conference on Civil and Human Rights say the Boston plan is part of what they call a "nationwide failure" when it comes to civil rights. Police across the country are implementing body cameras amid growing concerns about accountability and transparency after fatal police shootings. Police in Methuen, Massachusetts, use them. By the end of the month, up to 100 Boston police officers will wear them. Harlan Yu is among those who evaluated 50 police departments around the country on an 8 point "policy scorecard." "Accountability does not come automatically just because a police department decides to buy and adopt body cameras," Yu said, citing some concerns. Not making the body camera policy publicly available on its website conceding "presumably because the program is still in a pilot stage"
Lack of protection against tampering and misuse — officers who wear the cameras don't need a supervisor's permission to look at video, but other officers do. Making footage available to those "filing police misconduct complaints"
The only category Boston Police were commended for was limits on biometric technologies like facial recognition. "Boston has one of the perhaps facial recognition provisions from across the country," Yu said. "They outright prohibit the use of facial recognition together with body worn cameras. We think that is a policy other departments across the country need to emulate." The report says due to concerns from civil rights groups, leading departments like Boston "have begun to sharply limit" the use of the technologies. After requesting comment from the mayor's office and the police commissioner's office, necn Investigates has received no response. Monday, Mayor Marty Walsh granted $137,000 for the six-month pilot program. The body camera issue will be discussed at Wednesday’s city council meeting.